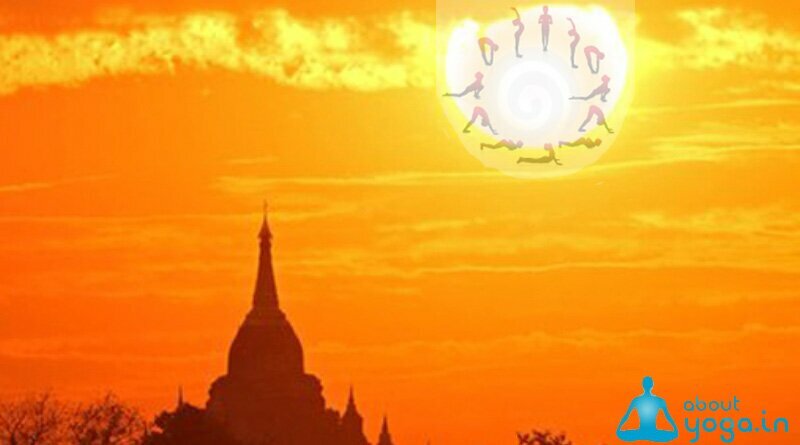 In the Orient these can be observed in the rituals and rites of the rich cultural traditions of Hinduism and Buddhism in India, Tibet, China, Japan Indonesia etc. The paintings in the caves of Ajanta and sculptures in the Ellora caves, dating back to 2nd. and 1st. centuries BC show innumerable mudras. Hinduism shows the earliest recorded knowledge and analysis of Mudras. The earliest documentations are found in Mantra Shastra (the book of incantations), Upasana Shastra (the book of worship and prayers) and the Nritya Shastra (the book of classical dances). The following verse from Srimad Bhagwad Gita mentions that Lord Krishna was in the posture of Gyan Mudra when he bestowed the knowledge of Gita to Arjuna. 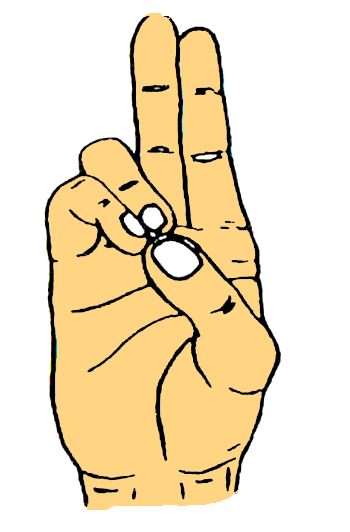 In Jainism, Swami Mahavir Jain and in Sikkhism, Guru Nanak Devji are always shown in Gyan or Dhyan Mudra. The Babylonian sun God Damuzi depicts Mudras while descending into the underworld. In Islam, the mystical Whirling Dervishes used Hand signs or Mudras for various rites and rituals. Roman art is replete with mudras. Like any Yoga, Mudras must be practiced sincerely and after gaining full knowledge of them. With few exceptions, a practice of these, with partial knowledge can, at the least, result in no gains and if practiced wrongly also produce undesireable effects. Like any Yoga, Mudras are natures way of healing, as intended by nature and therefore, the mandates of nature are to be followed. These are no instant pills, which do give temporary relief but harm in the long run. While some Mudras do give instant relief, for permanent and long term gains they should be done with sincerity and belief. Remember, the gains from all Yogic procedures are permanent and achieved without interfering with the natural working of the body mind or spirit. These are not as per science’s definition of elements but refer to the five building blocks that go into the formation of any living body. Several ancient health systems are based on the concept of the balance of the five elements. Indian Medical science according to Ayurved and metaphysics affirm that distortion or impairment of the 5 elements create outer disturbance and inner sickness in the body. Thus, the tension applied to the nerve/s and/or the neural or psycho-neural circuits formed by the mudras help in balancing the five basic elements (or building blocks). This balancing of the tension, and redirection of the internal energy effects the changes in veins, tendons, glands and sensory organs, to bring the body back to a healthy state. Mudra Vigyan is also a science based on the principles of the Indian Medical Science (Ayurveda) which lays down three factors primarily responsible for the body’s ills, Vata (wind), Pitta (bile) and Kapha (Phlegm). 10 types of Vayus (Winds) circulate through the nerves of the human body and can be controlled with MUDRAS. Nag Vayu, Kurm Vayu, Kriker Vayu, Krikal or Devadutta Vayu, Dhananjaya Vayu and these winds circulate in places like the skin and bones etc. The rules to keep these Vayus in good order are called PANCHMUKHI PRANOPASANA or the five faceted worship of the life forces and use the Mudras to achieve their ends. To him who does not know Mudras, Gayatri becomes ineffectual. Mudras awaken the cosmic energy and help unite the atma (soul) with the Paramatama (the cosmic soul). 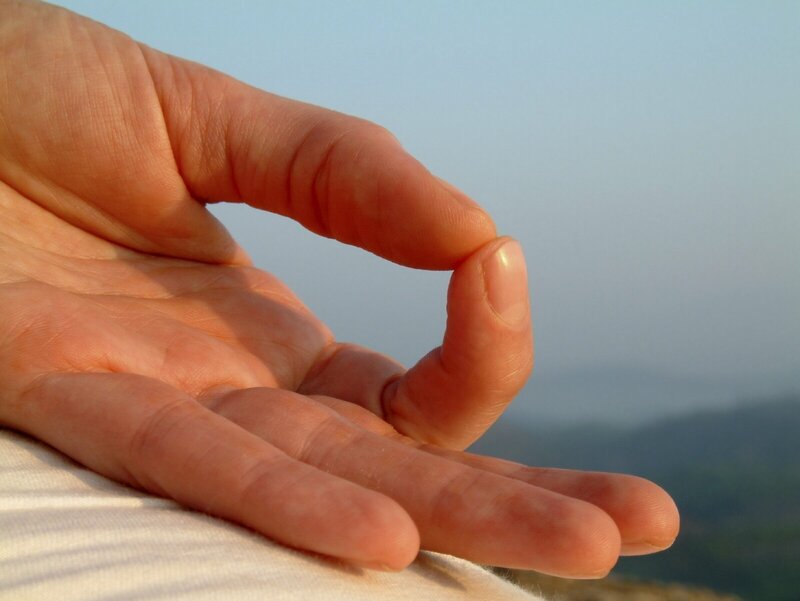 Gyan Mudra: In this position the fingers are held with the tip of the index finger touching the tip of the thumb and the remaining three fingers nearly straight–kind of like an “OK” sign, except the palms of each hand are pointed up or front. 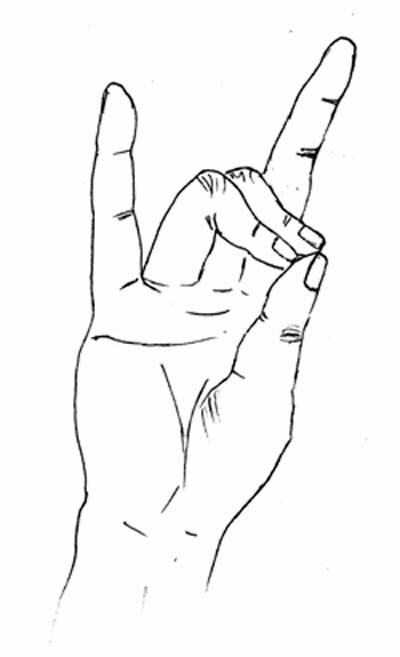 There are a number of variations of this mudra for higher and higher degrees of attainment e.g. Purna Gyan Mudra, Vairagya Mudra, Abhay Mudra, Varad Mudra, Dhyan Mudra, Mahagyan Mudra. As one keeps attaining higher and higher levels of the mind, the mudra’s change. 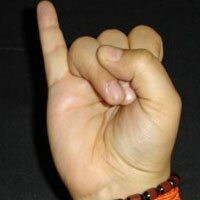 Vayu Mudra: This finger position is unbeatable in quickly and effectively removing the accumulated wind in the stomach. Depending on one’s physiology, it may take anywhere from 1 minute to 15 minutes or so to effectively expel all accumulated wind in the stomach without the use of anti-flatulants. Mudra should be stopped when the trouble abates. It helps in alleviating all wind based aches and pains. Considering that almost 80 % of the body’s aches and pains are due to wind, the practice of this Mudra is a must, before taking recourse to any other treatment. It is very effective in Parkinson’s disease (an ailment of the nerves where the patients body, head and limbs shake uncontrollably). 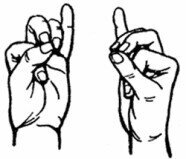 Shunya Mudra: This helps those with impaired hearing. If there is no physical defect, the mudra, if practiced regularly, can restore the hearing power. Remarkably, it helps in getting rid of earaches within minutes. It takes no mare than 2 to 3 minutes to get rid of most earaches. The mudra should not be continued after the problem has been removed. 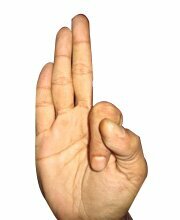 Apan-Vayu Mudra: This finger position works like an injection in cases of a heart attack. Regular practice is an insurance in preventing heart attacks, tacho-cardia, palpitations, depressions, sinking feeling of the heart. Also known as the Mritsanjivani Mudra for arresting heart attack. Pran Mudra: This finger position is an all time useful Mudra and can be done for any length of time, any time, any place and will only help in adding to the benefits. 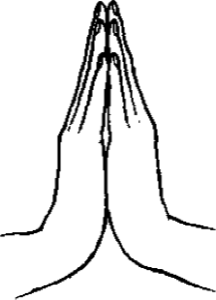 This is the mudra which, along with the Apan Mudra, precedes any efforts at higher meditation by the Yogis and saints. The mudra helps to increase the Pran Shakti or the “Life force”. It increases one’s self confidence. It helps the body in increasing it’s vitality and sustenance when deprived of food and water. It helps in improving weak eyesight and quiescence (motionlessness) of the eyes. It supports any other treatment where the patient is short on confidence. 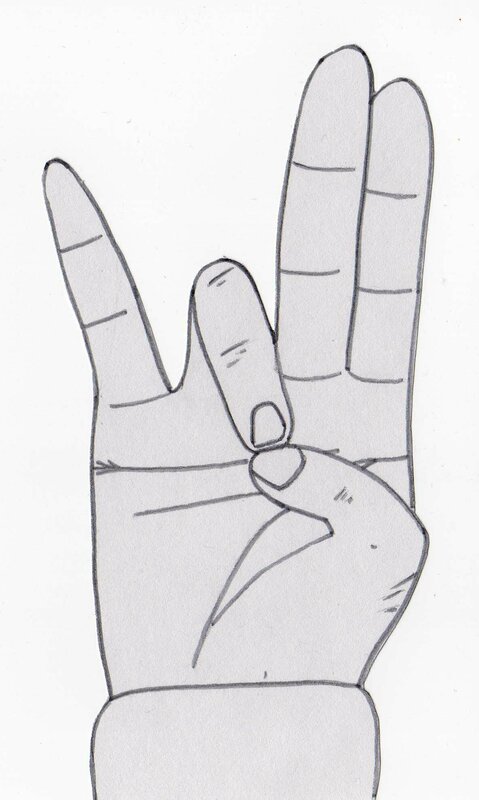 Method:This mudra is formed by joining together the tips of the thumb and the middle finger. Effects: Aakaash-vardhak mudra increases the aakaash (space) element within the body. Since the space within the body is a part of the outer space (aakaash or cosmos), practice of this mudra enables the individual (aatmaa) to reunite with the collective consciousness (Paramaatmaa or God). Negative emotions like fear, anger, sorrow, etc., are replaced by positive emotions and thoughts. The above-mentioned increase in internal space is effected by the elimination of metabolic wastes from the body. 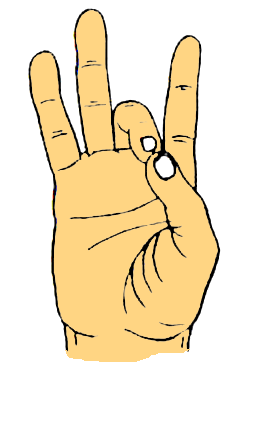 Thus Aakaash-vardhak mudra is a detoxifying mudra.The increased internal space enables the rest of the four bodily elements: vaayu (air), agni (fire), jal (water) and prithvi (earth) to increase, affording them a room to act. Thus, Aakaash-vardhak mudra can be beneficially combined with mudras that increase the other four elements (i.e., Vaayu-vardhak mudra, Prithvi-vardhak mudra, Agni-vardhak mudra and Jal-vardhak mudra). In general, Aakaash-vardhak mudra is an excellent mudra that stimulates noble thoughts and helps the practitioner to take rapid strides along the path to moksha (salvation). It also helps a person who wishes to scale great heights in the art of meditation. The element Aakaash is also a component of bodily humor Vaata. Therefore, Aakaash-vardhak mudra reinforces the Vaata humor of the body. It should be done in moderation by people of Vaata constitution. Apan Mudra: Helps in purification of the body, urinary problems, easy secretion of excreta, regulating menstruation and painless discharge, easy child delivery, Piles, Diabetes and kidney disorders. How & When: Perform this Mudra by raising the little finger up and straight while folding the rest of the three fingers and pressing them with the thumb. On may perform it any time of the day in nay body position like sitting, standing. Lying down etc One may practice it for 5-10 minutes. a) It helps in relieving the urine retention. b) It allows the easy passing of the urine. How & When: To perform this Mudra fist the thumb of the left hand by keeping it at the centre of the palm of the right hand with the fingers and then join the thumb of the right hand with the remaining fingers of the left hand at the tips. Thus it forms the shape of a conch or “shankha”. This Mudra can be performed any time of the day except after the meals. One can perform this Mudra in Sukhasan or Vajrasana and should perform for at least 10 minutes at a stretch to gain the benefit out of it. Slowly increase the time limit to 45 minutes. One can also perform it in 3 sittings of 15 minutes each. a) Removes speech disorders like stammering and stuttering. Gives sweetness to voice and renders it an attractive quality. b) Disorders related to tonsil and throat gets removed. It also balances the thyroid gland thereby bringing hormonal balance. c) It keeps navel center in order, making person healthy and thus affect to keep the nervous system healthy and active. d) Alleviates abdomen disorders. Improves the digestive system. If during the practice of this Mudra one starts getting weaker or fatter day by day then one must avoid its practice as this Mudra affect the thyroid glands and due to unreasonable practice of this Mudra may hypo or hyper activate the thyroid glands..
How & When: To perform this Mudra make a fist with both the hands, fingers really digging into the center of the palm.meao Now open up the index, little finger and the thumb, keeping them reasonably straight. Rest the hands on the knee facing up by keeping the elbow straight. 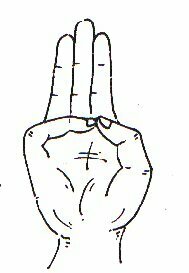 One must perform this Mudra in Sukhasan or Padmasan. One can also sit on the chair in case of uneasiness or discomfort. 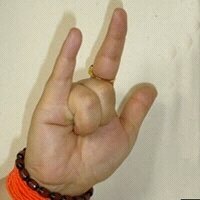 One should perform this Mudra daily at regular basis for at least 30 minutes. One may choose to complete this time period in 3 sittings of 10 minutes each. But preferably reach the phase where you ma practice it uninterrupted for 30 minutes. The basic benefit of this Mudra is to bring a balance of high and low blood pressure i.e. to maintain an optimum blood pressure. Vyana Mudra: To be alternated with Meao Mudra for High B. P. only. Ling Mudra: Generates heat in the body. It destroys phlegm and helps in problems of colds, catarrh and coughs. It is excellent when the body is cold due to shortage of cover in inimical weather. This mudra must be performed under supervision or with full knowledge. 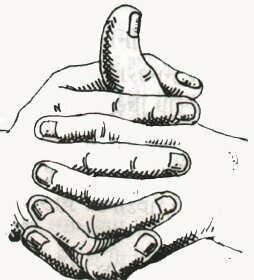 How & When: Perform this Mudra by interlocking the fingers of both the hands in such way so that the little finger of lingthe left hand is the down most and the right hand thumb stands straight up, envelope the right hand thumb with the left hand index finger and thumb to join the tips at the back of the right hand palm. Hold the palms together tightly. 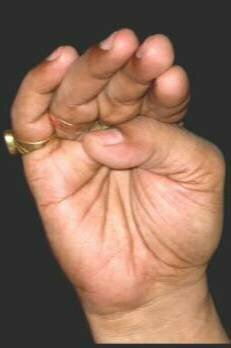 One should perform this Mudra by keeping the back straight either in Padmasan or Sukhasan. One may also sit on the chair in case of difficulties. Hold the hands in front of the chest with hands exerting a little pressure against each other. One may perform this Mudra as a therapy daily for time duration one feels comfortable. One should not perform it full stomach. Caution: One must discontinue the Mudra in case of dizziness, uneasiness or nausea. People with acidity must observe the reaction and if feels more heart burning, they should discontinue doing it. One must not practice this Mudra any longer after you get the result you are seeking. a) It is an excellent Mudra to break the phlegm and relieve a person of frequent coughs and colds. b) It also works great when the temperature suddenly falls down and one shivers of cold. Practicing this Mudra will generate heat in the body and will provide the necessary warmth. c) It also relieves the bronchial spasms and calms down the breath. d) It is also fruitful if practiced by person suffering from bronchitis, lung cancer or asthma. e) It activates the digestive fire by activating the AGNI which in turn boosts the metabolic rate of the body in case of sluggish digestion. f) It also helps in case of low blood pressure and mild paralytic attack, sinusitis etc. 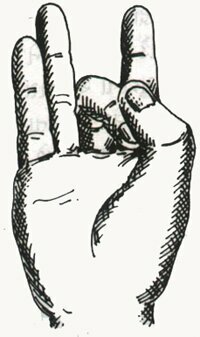 How & When: One may perform this Mudra any time of the day by joining the little finger tip with the tip of the varunmthumb, keeping the rest of the three fingers straight. 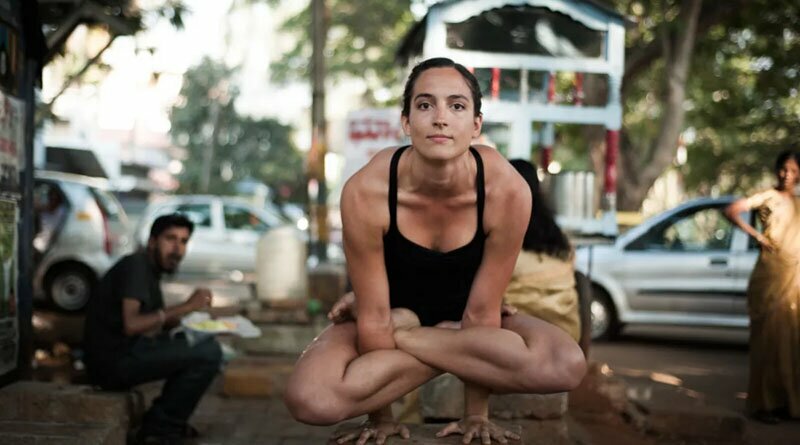 One may perform this Mudra in sitting, lying down or standing pose. Though, the best pose is still the sitting cross legged pose. Caution: Make sure you do not press the tip of the little finger near the nail as it causes dehydration rather than moisturizing the system. a) As the name suggests, this Mudra is an association of water element with the fire, Varun is the name of Water God “The Indra”, so it balances the water element in the body. b) Since it moisturizes the body, it is also a thirst quenching Mudra which activates the salivary glands ooze out saliva. c) It is a Mudra for relieving dehydration and stomach infection. d) It activates the kidney malfunctioning and promotes urination. e) It activates the fluid circulation in the body. f) It is excellent for skin disorders, wrinkles, skin infections, skin dryness etc. g) It purifies the blood and takes care of many blood disorders. h) It brings lots of lustier and glows to the body and especially face. i) It compensates for the shortage of water in body. Surabhi Mudra or the Dhenu Mudra: Is a very effective and powerful Mudra. By itself this Mudra helps a sadhak (an aspirant practitioner) to break any barriers which he may face when on the thresh hold of samadhi (the ultimate meditation). In this Mudra the ethereal elements combine such as to magnify and multiply their powers and produce powerful results on the body. Vayu (Wind; symbolised by the first finger) meets Aakash (Ether; symbolised by the middle finger), to stabilise the chakra (the circle) of the universe. Again Prithvi (Earth; symbolised by the ring finger) meets Jal (Water; symbolised by the small finger), to produce the generative power of the universe. With constant practice, this mudra helps to stabilise and bring in resonance the Nabhi Chakra or the circle of the navel, so essential for the ultimate elevation of the human mind and body. The mudra has 4 variations, each of which gives different results. Shunya Surabhi Mudra By increasing the ethereal vacuity it helps the sadhak to increase the hearing power manifold. Prithvi Surabhi Mudra Helps to cure all ailments of the stomach generated due to defects in the digestive system. Specially effective for people with chronic digestive ailments. Jal Surabhi Mudra This mudra helps to cure and eliminate diseases related to bile. It helps in curing diseases related to urine and assists easy passage. How & When: Touch the tip of the thumb and the tip of the ring finger together, keeping the rest of the three fingers straight. Make sure you do not force the fingers to be straight, only try to keep them so. 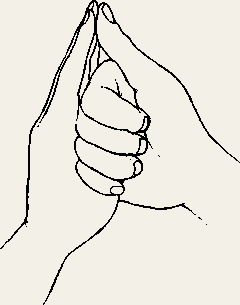 This Mudra is preferably done in the morning, but could be done any time of the day otherwise and for any duration. This Mudra is required to be done when one feels lack of energy, enthusiasm and motivation in life. All seems dull and lifeless. One may perform this Mudra with both the hands by sitting in Sukhasan or Padmasan, and keeping the back of the palms on the knee, keeping the elbows straight. a) Helps boost the blood circulation in the body. b) Increases tolerance and patience. d) Since this Mudra is an association of the earth element with the powerful Sun, it brings solidity to the body. e) It also helps the person to gain weight in case of weak and lean bodies. f) Helps to restore the balance of the body, when required i.e. 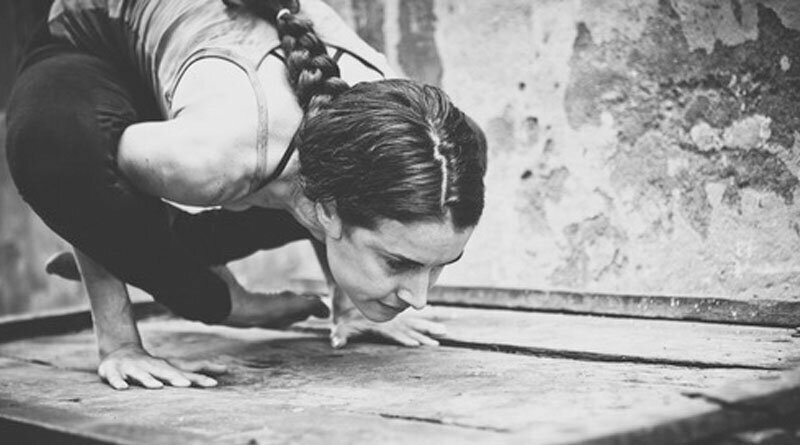 restore body equilibrium. g) It wards off the weakness, fatigue, dullness and invokes prana in the body. h) It also brings and adds to the aura or the halo and also brightness to it. i) It also activates the thinking power and helps to broaden the orthodox/ conservative thinking pattern. j) It compensates the lack of “Rajasic Gunas”. Surya Mudra: It helps to reduce the accumulated fat in the body and unwanted cholesterol. in accumulated fat in body, reduction in cholesterol. Singhakranta Mudra Helps to regain the lost halo due to abuse of the body. Mahakranta Mudra Helps to regain the lost halo due to abuse of the body. Kamajayi Mudra Helps to gain control over unsuppressed passion and sexual urges etc. In short, Mudras can be our best friends to help us maintain good health and when needed, to help overcome many ailments and diseases effectively and without harm to the body. Wouldn’t it be logical, therefore, first give the body a chance to heal itself before giving it invasive medicines and drugs, which must and will have some side effects.